The World Cup is over and football fans will have to suffer from withdrawal symptoms over the next four years. Yet while World Cups are rightfully seen as the end “result” for individuals and team, they are only a part of the evolution of football as a whole. Every tournament leaves its imprint on the game as we learn more about the keys to success in the sport. The 2018 World Cup was no different as we got to see several pieces of innovation from managers right from Gareth Southgate’s set-pieces to Juan Carlos Osorio’s counter-attacking Mexican side that helped end the German dynasty. Other moves failed as Jorge Sampaoli’s pressing style led to a miserable Round of 16 for Argentina. So what are some tactical takeaways from this FIFA World Cup? Whenever we tend to look back at previous winners of the World Cup, we often focus on their offensive attributes: Spain’s tiki-taka in 2010, Germany’s inter-play in 2014 or even the quality of Brazil’s attacking trio in 2002. Yet what gets forgotten is the fact that their defences were crucial to the victory of each of these teams. For example, Spain only conceded two goals in their run to the title in 2010. 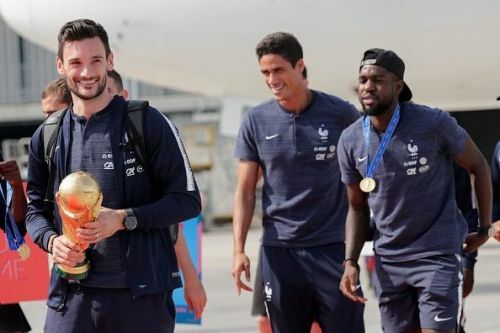 The same was true for France in 2018 as their defence was key in their run to the final. While Les Blues conceded six goals during their run, most of those were either fluky defensive mistakes (Umtiti’s handball against Australia or Lloris’s mistake in the final) or absolutely brilliant goals (Angel Di Maria in the Round of 16 or Ivan Perisic in the final). Otherwise, the French defence was brilliant, led by the imperious partnership of Raphael Varane and Samuel Umtiti supported by midfield players N’Golo Kante and Paul Pogba. The defensive performances against Uruguay and Belgium were key in their run to the title. It was that defence that allowed France to defend deep- France spent more time in their own third (27% of all touches in games involving them) than any other favourite. Even then, France conceded less shots (mainly inefficient long-range efforts) than any knockout team other than Spain or Brazil. That was mainly due to their defence. Their ability to defend deep allowed them to unleash Kylian Mbappe on the counter-attack. It would be no exaggeration to suggest that the main reason why France won was their defence. Throughout the tournament, teams that were more defensively solid were victorious even with less attacking talent. Examples include the runs of Russia and Sweden to the quarter-finals as their organization helped them beat Spain and Switzerland respectively. Even in the case of Croatia’s success, it was their defence which enabled the Vatreni to reach the final (only conceding five goals until the final). As the old American adage goes: Offense sells Tickets, Defence wins Championships.